This spring, the Neuroscience Graduate Program and the Neuroethics Program at Emory University are teaming up to present the 2017 Emory Graduate Student Neuroethics Symposium entitled, The Use of Preclinical Biomarkers for Brain Diseases: A Neuroethical Dilemma. 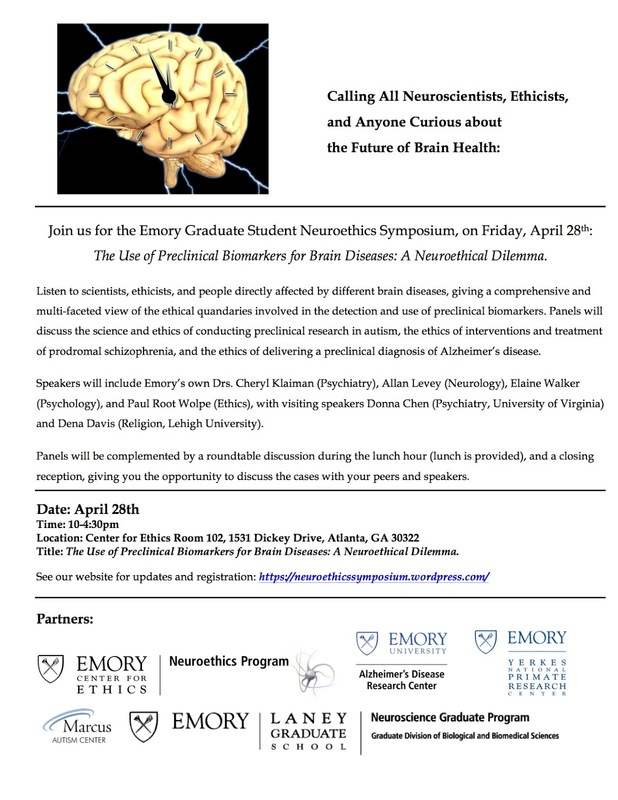 This year’s symposium will focus on the neuroethics of preclinical detection, including discussions of the basic and clinical research being performed and the neurotechnologies being developed for the early detection of autism, schizophrenia, and Alzheimer’s disease. Session 1: Autism, with a focus on the ethics of conducting preclinical research. Session 2: Schizophrenia, with a focus on the ethics of interventions and treatment. Session 3: Alzheimer’s disease, with a focus on the ethics of delivering a preclinical diagnosis given the risks for stigma. Each session will include input from a patient diagnosed with the disease or family member of someone experiencing the disease, a researcher/clinician, and an ethicist. Speakers will include Dr. Cheryl Klaiman, Dr. Donna Chen, Dr. Dena Davis, Dr. Paul Root Wolpe, Dr. Elaine Walker, and Dr. Allan Levey. 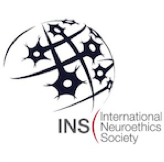 Through this symposium, we hope to highlight the challenges that a patient can face after being given a preclinical diagnosis for a mental disorder, and to underscore the ethical challenges that arise when the ability to detect a future disease outreaches our ability to care for the patient. You can find more information on our website and in the flyer below, and can register for the event here. We hope you will join us!